The BBC has appointed Manchester-based agency Taylor Lynn Corporation (TLC) to work on its inaugural Children in Need fundraising dinner in the northwest. The event takes place on the 16 November at the Hilton Deansgate in Manchester and will be hosted by songwriter and ‘The X Factor’ judge Gary Barlow. TLC has used its association with automotive firm Bentley Manchester to offer a Bentley Continental GTC for auction at the dinner, a week before the car’s official UK launch. 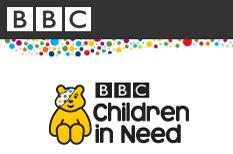 Liz Taylor, TLC’s managing director, said: "I am delighted to be working on such a special event as BBC Children in Need. As this is an inaugural event and in aid of such a wonderful charity, guests can expect a fabulous and most exclusive night." Last month, the BBC hired Paragon Events to produce its first BBC Children in Need dinner at Battersea Evolution on 11 October.